What's next for Vijay Mallya after UK court rejects plea against extradition? Vijay Mallya, who is seeking refuge in the United Kingdom, will submit an appeal for the second time at the London court for an oral hearing. 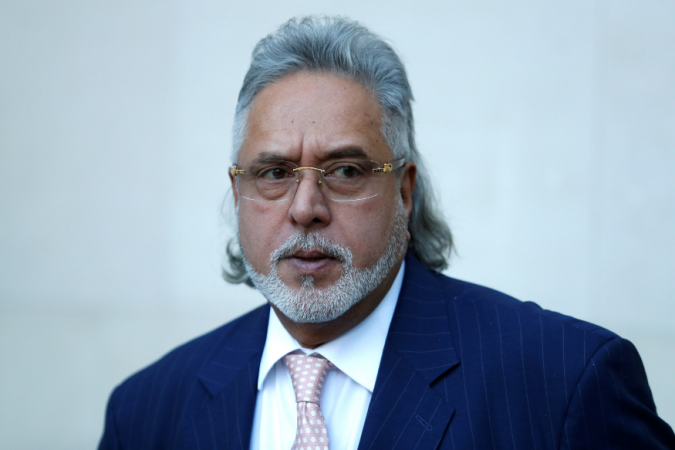 Fugitive billionaire Vijay Mallya, who is seeking refuge in the United Kingdom, was in shock after he received an email on Friday (April 5) that his application against the extradition process was rejected by Justice Davis. As Mallya's appeal against the decision of the Secretary of state and the district judge was rejected, now, the only form of recourse he has is to apply for the second application at the London court for an oral hearing. However, this has to be done within four to five business day. He has time till April 12 to file the application. This hearing will decide if he has a case which will work, reports Time of India. If Mallya loses this time, he will be extradited within 28 days of the second hearing. "He has been sent a form and he can now apply for an oral hearing. He has five business days to do that. We would expect to list the hearing within three to eight weeks after we receive the form," a source close to the London high court told TOI. If this is rejected, Mallya's last option will be to move the European Court of Human rights. However, Ben Keith, a lawyer who is familiar with many Indian extradition cases told TOI, "The judge has decided on paper that he does not he have an arguable case. Many cases are refused on the papers ... Cases are often renewed at an oral hearing and that is where arguments can be fully developed. Often when it is refused on paper, people get permission granted after the oral hearing. This is only the permission stage so at the oral hearing he only has to show he has an arguable case and there is quite a low threshold for that." Keith also said that if Mallya's application to appeal against the extradition is approved in the oral hearing, the main aim will be to prove that at least one thing which the magistrate said is wrong. "If leave to appeal is refused at the oral hearing, then that is the end. He cannot go to the Supreme Court if he does not get leave to appeal. He would be extradited 28 days after that unless he can find a reason to take it to the European Court of Human Rights," Keith said. Times Now reports that India is sending a special team to London to appeal against Mallya's oral hearing and to assist the Crown Prosecution Service in the case against Mallya. The report state that this will be the first time that an Indian team will be contesting in a UK High Court.